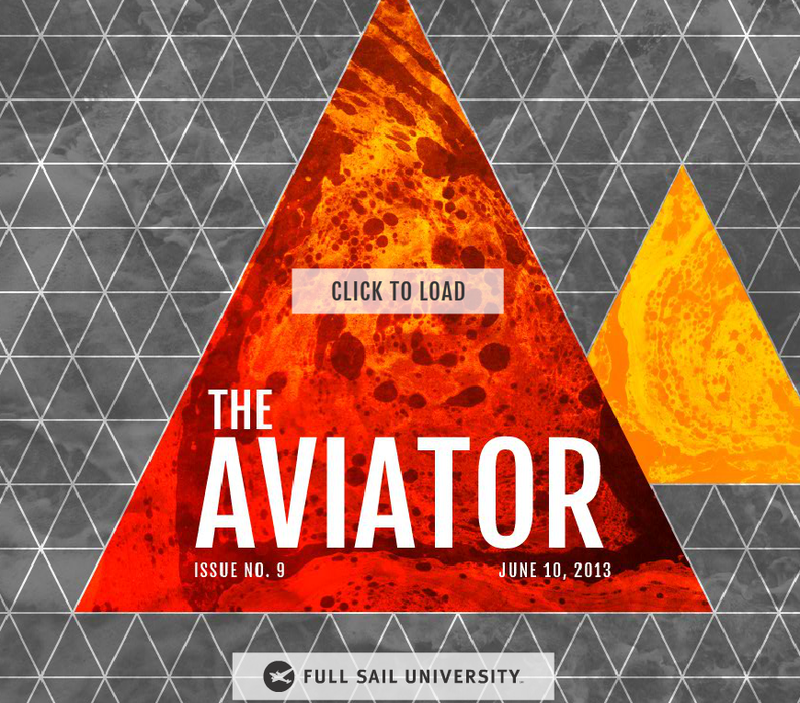 Yesterday afternoon my school, Full Sail University, announced the release of it’s ninth volume of The Aviator, a literary e-journal comprised of student work. I had mentioned a few weeks back that The Aviator had accepted a few of my pieces, so I wanted to pass along the information for downloading the newest edition of the journal. 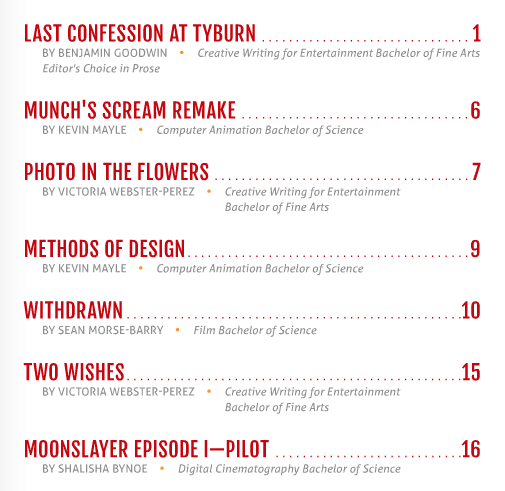 There’s some pretty incredible work in this edition, including impressive scripts written by Film and Digital Cinematography students as well as some amazing graphics created by our animation students. 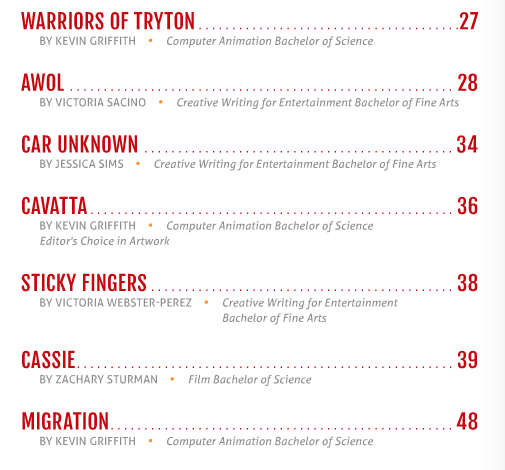 I’m humbled to have my work featured alongside such talented peers. Make it a great day, friends!